Canning Jar Lids With Clear Glass Oil Lamp Reservoirs and Wick Holders turn ordinary canning jars into instant lighting accents. 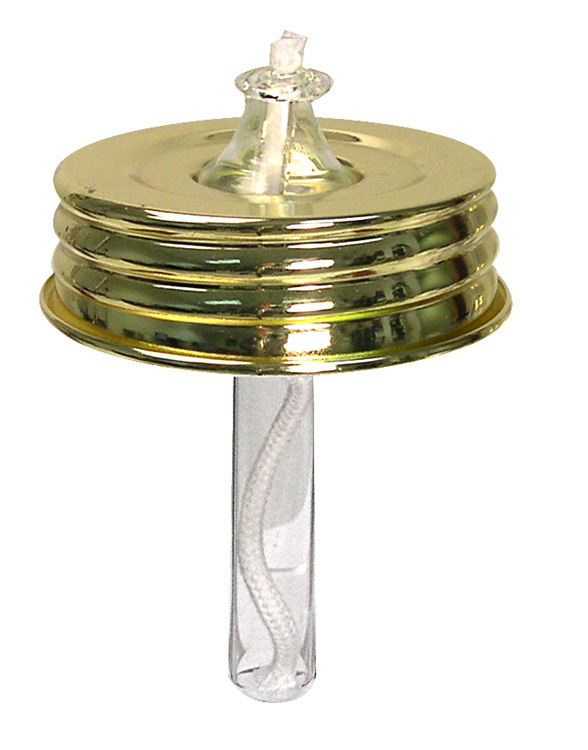 REPLACEMENT WICK: All items on this page use WICK 391-038-01. Click on "Wicks..." link at bottom of page to buy. A) Glass Oil Lamp Insert with Reservoir and Canning Jar Lid. Insert is 4-3/16"L with cotton wick. Lid has Bright Gold Finish. Approx. burning time is 1-1/2 hrs. with minimum wick exposed. Lid has Bright Gold Finish. 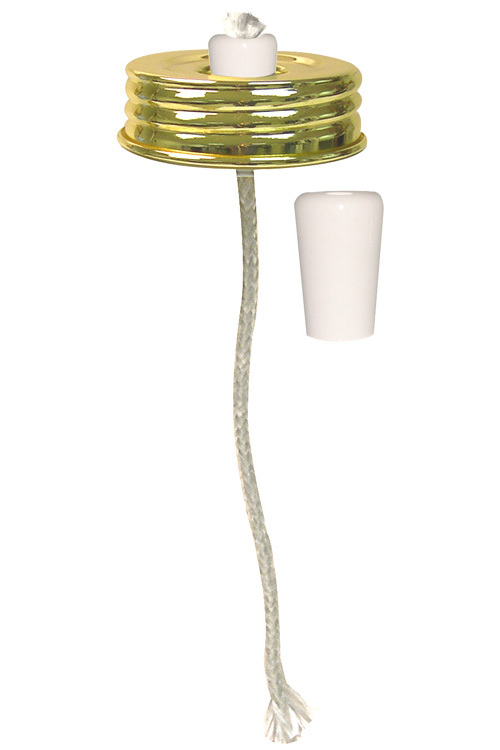 Includes long-lasting 6"L fiberglass wick. Lid has Bright Golf Finish. Approx. burning time is 3-1/2 hrs. with minimum wick exposed. Jar NOT included. 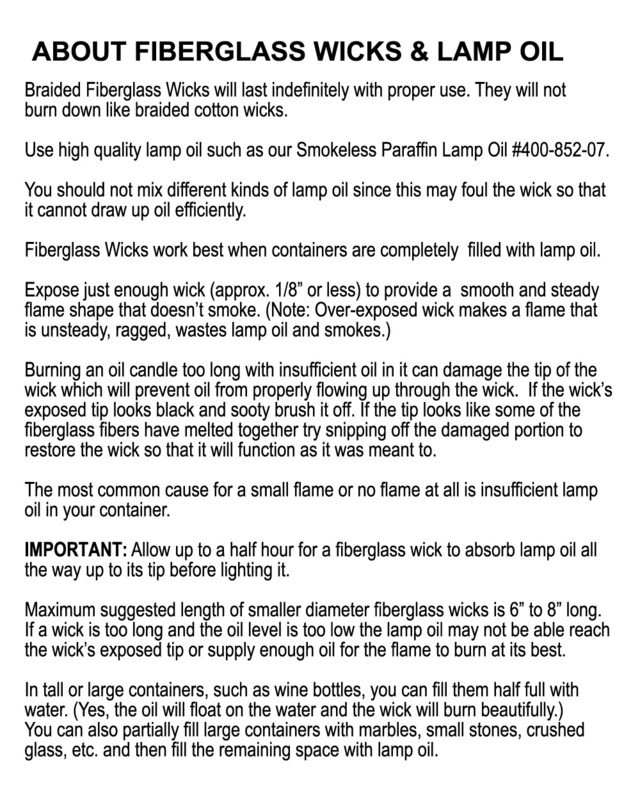 Includes long-lasting 12"L fiberglass wick. Lid has Bright Gold Finish. 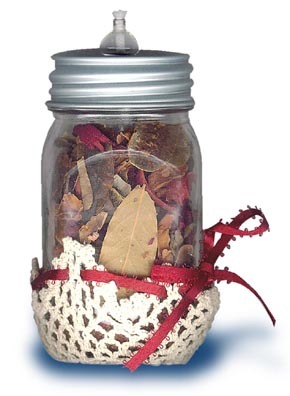 with Reservoir & Mason Jar Lid. 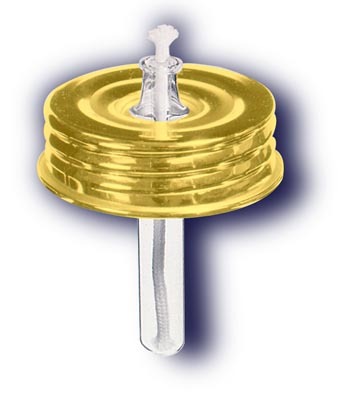 Insert is 4-3/16"L with braided cotton wick. Includes long-lasting 6"L braided fiberglass wick. Lid has Bright Brass Finish. Approx. burning time is 3-1/2 hrs. with minimum wick exposed. Ceramic Knob has glazed white finish. 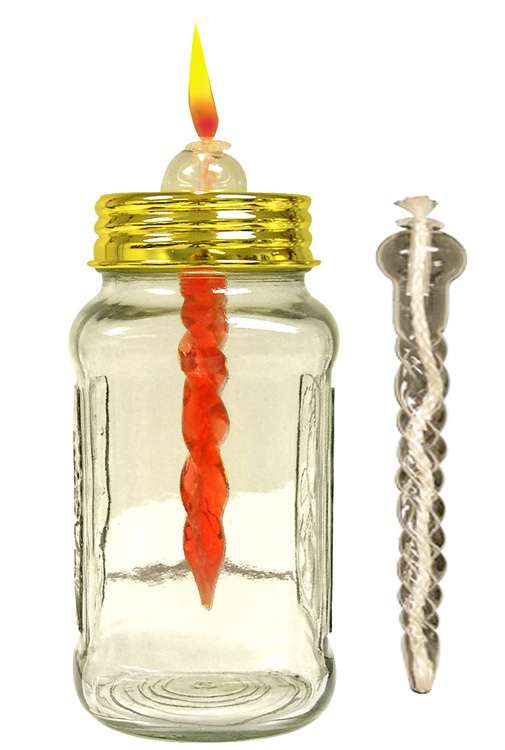 Includes long-lasting 6"L braided fiberglass wick. Lid has Bright Brass Finish. 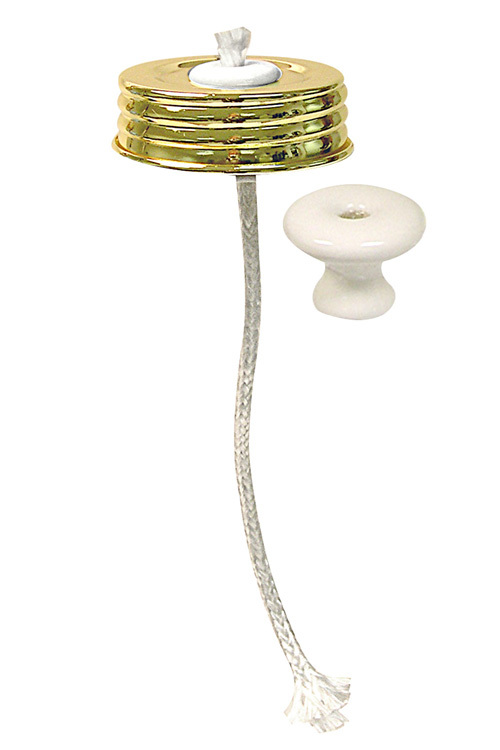 Ceramic Stopper has glazed antique white finish. 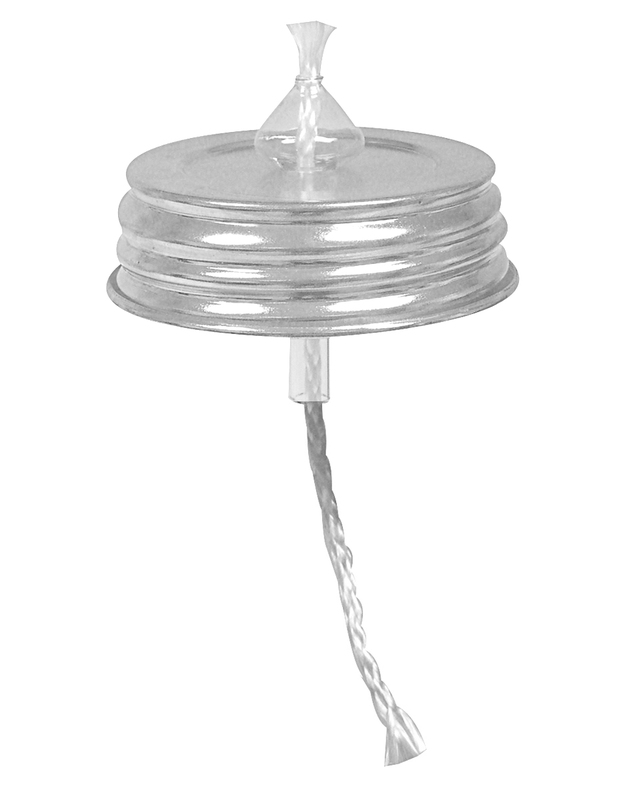 Includes long-lasting 6"L fiberglass wick. Lid has Bright Brass Finish. 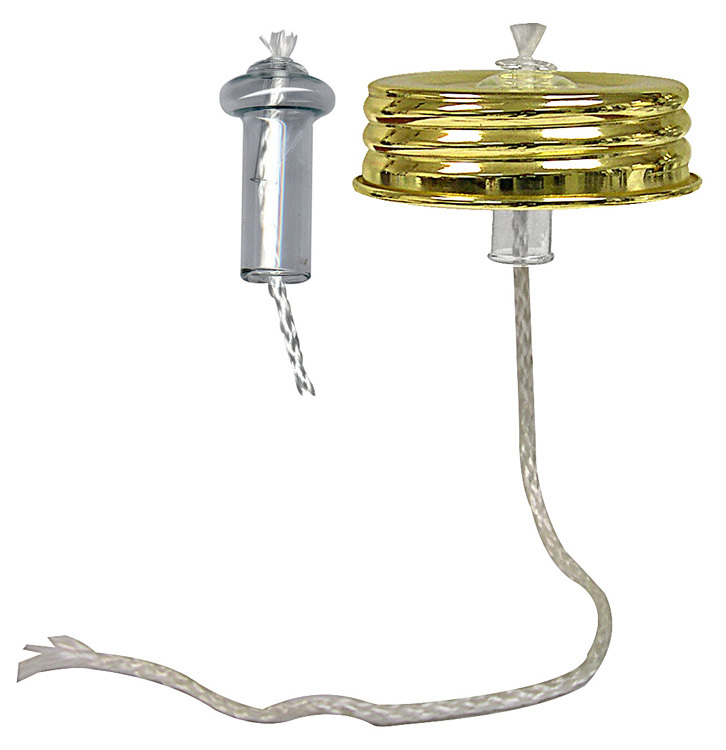 Includes long-lasting 12"L braided fiberglass wick. Lid has Bright Brass Finish. Do Not Leave Open Flame Unattended.